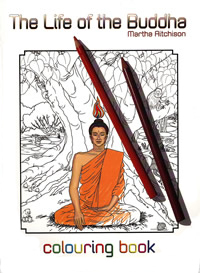 A simple telling of the story of the Buddha's life in words and drawings for children to color. Includes six pages of notes for parents and teachers to elaborate upon the brief captions under each drawing. The book is basd on A Young Person's Life of the Buddha, by Bhikkhu Silacara..